A starting business with minimal capital should outsource all possible needs including used office furniture. This will allow you to save extra money in the event that you are short of capital. If you are a newly opened establishment, getting your entire office interior done is a must. This is necessary to attract potential clients to do business with you. If you have a well rounded office with great interior and setting, you will have increased chances of getting people interested in what you are offering. There are a lot of shops offering used office furniture that are still in good condition. You can search all over your local area for these kinds of stores and get used furniture that would match your office interior. Finding the right office equipment is essential to style up your office according to your preference. Office interior does not necessarily mean you have to buy expensive equipment. There are a lot of available equipment and furniture that you can use but can be bought at a cheaper rate. For instance, getting use office furniture from closing out or garage sales can help you save more and cut down your budget. Prior to locating a store offering used office furniture, you must first determine what type of furniture you need and its quantity. For instance, you can start planning on what type of chairs you need and the number of tables you want. You can choose from regular type of chairs to swiveling chairs and from small to big tables. Used office furniture can also be found all over auction and sale in the internet. You can easily locate a store offering second hand furniture by doing a quick search. Once you have found what you are looking for, you can start your bid and make a purchase. Office supply stores are also the best places to find different types of furniture. Aside from brand new equipment, these stores may offer other options to their customers including second hand furniture and fixtures. 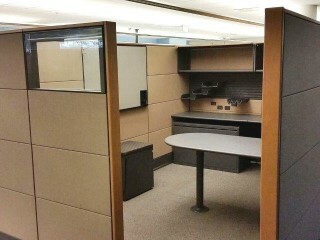 A great way to save money in buying used office furniture is from buying it in sets. This will allow you to haggle for the lowest possible price offered. Once you have reached the desired price, you can now buy the sets you like and start decorating your office accordingly. Stores and individual sellers will give you huge discounts from buying a lot of furniture compared to getting it piece by piece. If you are planning to buy used office furniture, you have to look for the best deals offered. Consider the quality of the second hand furniture before purchasing it hence you will only get your money wasted. Also, you must take note of the prices before you make a decision in buying it. Compare it with the price of brand new furniture and if it will really save you more, you can come up with a choice of buying it. Try different locations before making a purchasing to compare best possible prices for the used office furniture you want.